Delicious beer and delicious irony, what more could a man want from a country? Perhaps some decent weather. 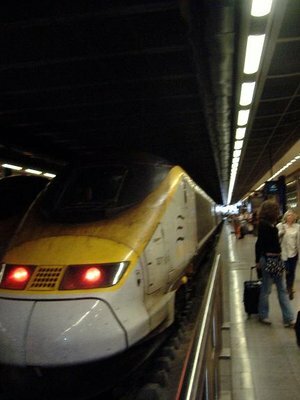 I took the Eurostar Chunnel train from London to Brussels. I was actually quite excited about taking the chunnel train, but it was a little disappointing. The ride itself was fine, it was smooth and fast and comfortable. But I was very excited about travelling through that modern marvel that is a tunnel underneath the English channel, but in actuality its just a dark stretch in the train ride, so there isn´t much to see. I arrived in Brussels to find out that the reason that I had such excellent and sunny weather in London was because the rain and cold had decided to take an August holiday and travel to Brussels. The temperature never really climbed above 20 Celsius, and mostly hovered around the low teens the entire time I was there. 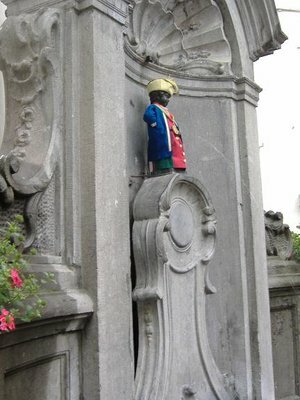 I´ve been to Brussels once before, during my trip from Paris to Hong Kong via train, so I´d already seen a few of the prime sites like the Manneken Pis and the main square. This time I decided to get out and see some of the other sites. 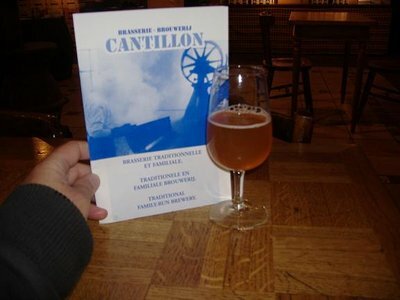 I headed out to the Cantillon Brewery, which is a traditional brewery brewing Lambic beers, which are brewed in traditional style. They brew using natural, spontaneous fermentation to make a flat beer. It tasted to my rather unrefined palate like a mix between a wheat beer (like a hefeweizen) and a very dry Riesling. They also make fruit beers by adding 20% fruit. The brewery itself wasn´t in operation when I was there. They only brew in the winter, as they need the cold night air to cool the brew and allow the natural yeasts in the air to add to the fermentation process. As well, they don´t use any pesticides, instead opting for the natural pesticide called the spider. 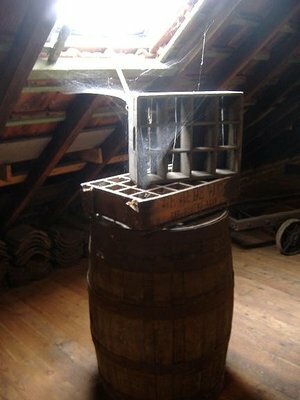 Removing cobwebs is not done, as they don´t want to drive the spiders away. I also went and checked out the European Parliament Buildings. 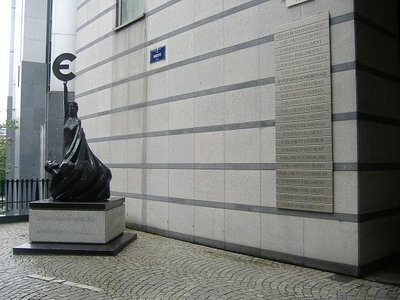 In addition to being the capital of Belgium, Brussels also serves as the primary seat of the European Union´s power. Every year, it seems, more and more of Europe is brought together by this supranational body, with Romania and Bulgary just joining at the start of this year. Later, while enjoying a plate of moules frites, I was reading some of the rare English language material I had with me - a Belgium tourist magazine that happened to cover some politics. Belgium is divided into two main regions, Wallonia to the south and Flanders to the north. 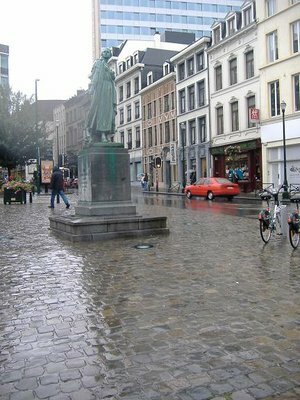 Wallonia is mainly French speaking, and tends to be poorer than the northern Flemish, who speak mainly Dutch. During election time, of which there was just one, Belgians vote for a party in their region. However, it appears that very few parties cross the boundary between the Flemish and the Wallonians, and a party is identified by it´s language. Most parties don´t even both to run candidates in the other linguistic region. Of course, all this fuels lots of talk of separation of the country into two separate countries, with perhaps Brussels even becoming a modern city-state without a country affiliation. That´s my delicious irony, that the centre of power for the unifying force of the EU is a country that isn´t really sure it wouldn´t be better off split into parts.